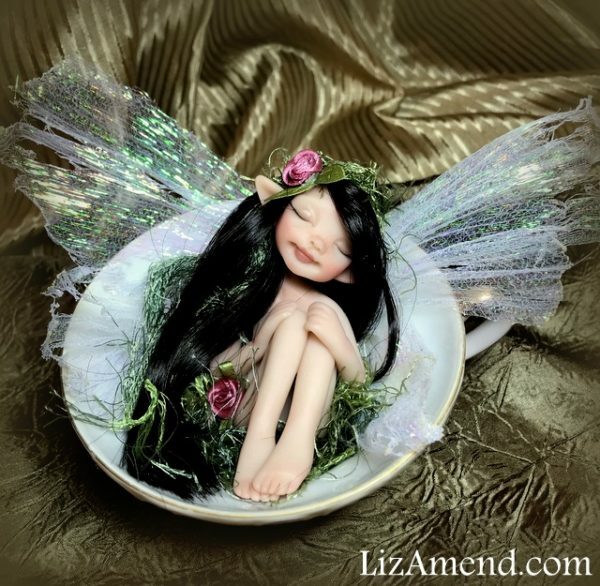 This sweet teacup fairy measures about 4.5 inches long. 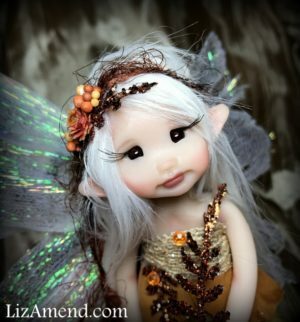 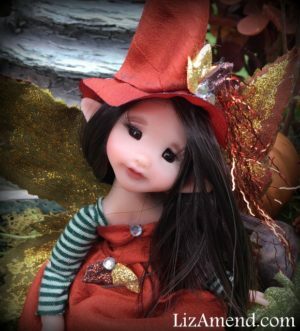 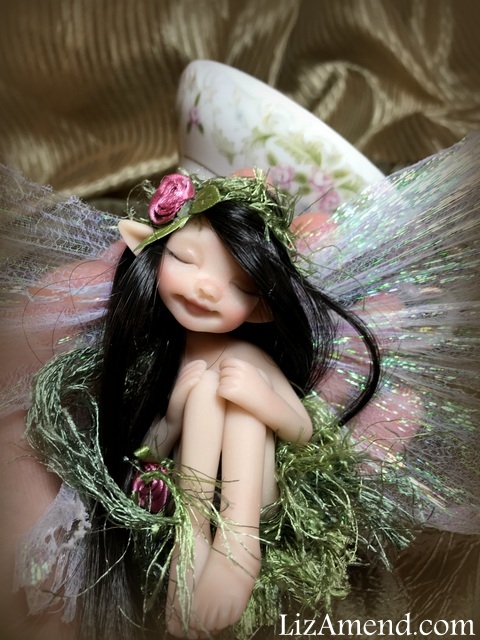 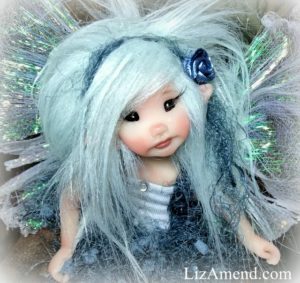 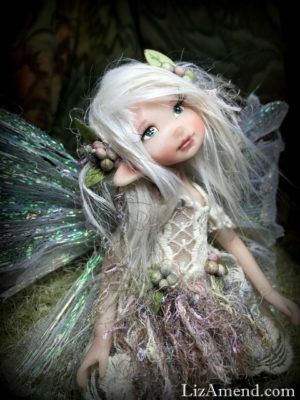 This darling teacup fairy measures about 4.5 inches tall. 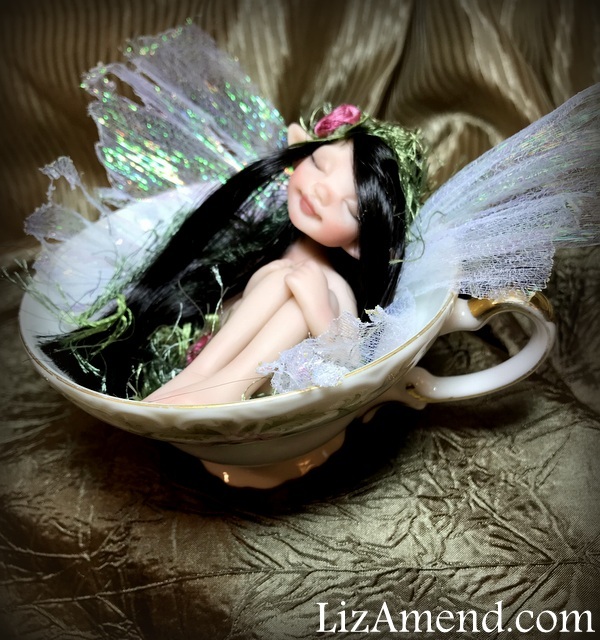 She is sculpted to sit inside her vintage teacup, she is removable.